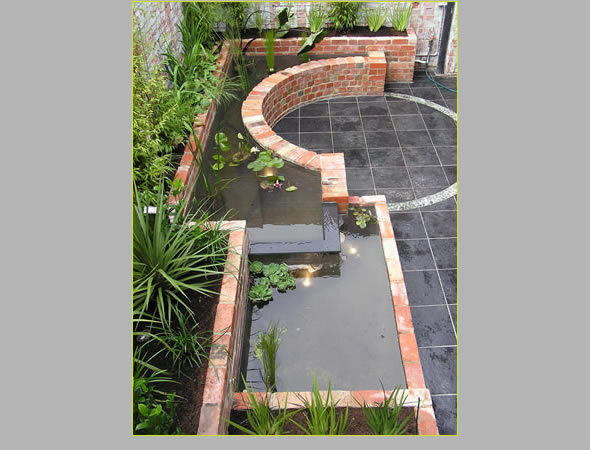 Taking a creative approach to a challenging site resulted in a unique, contemporary garden full of visual interest, colour and texture. 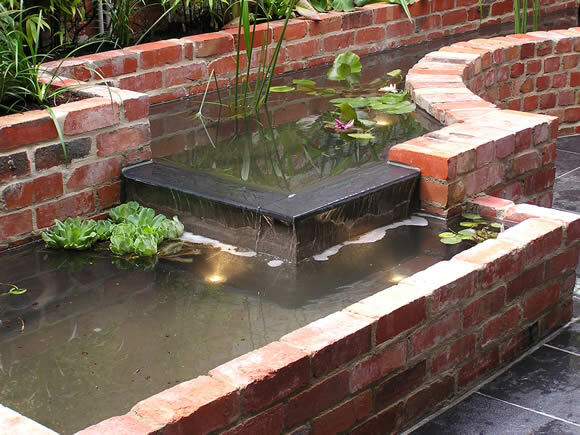 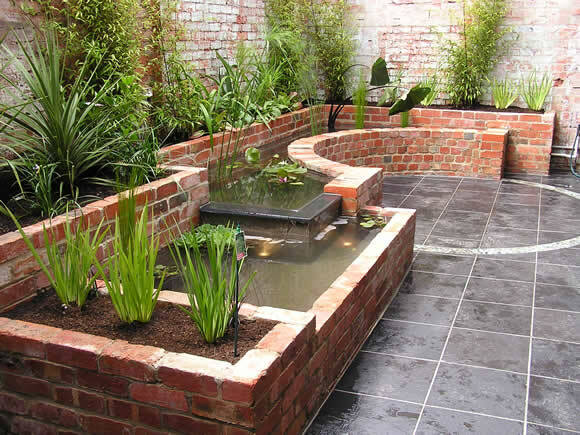 The water feature adds to the sense of space and harmony. 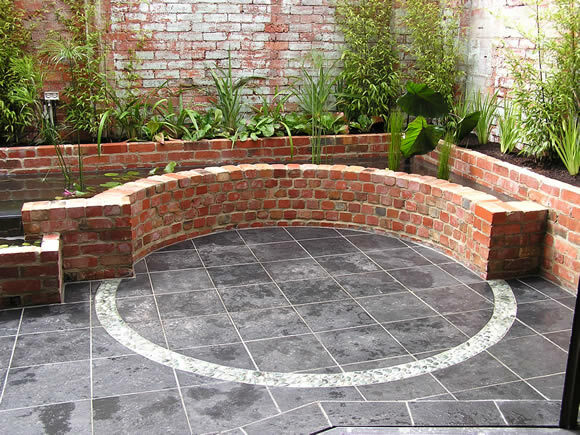 We used materials reclaimed from the site, and designed the black limestone paving with a pebble inlay.